The 2019 Range Rover Sentinel gets a bigger engine along with an improved chassis and is identical to the Range Rover Autobiography in terms of design, refinement and appearance. 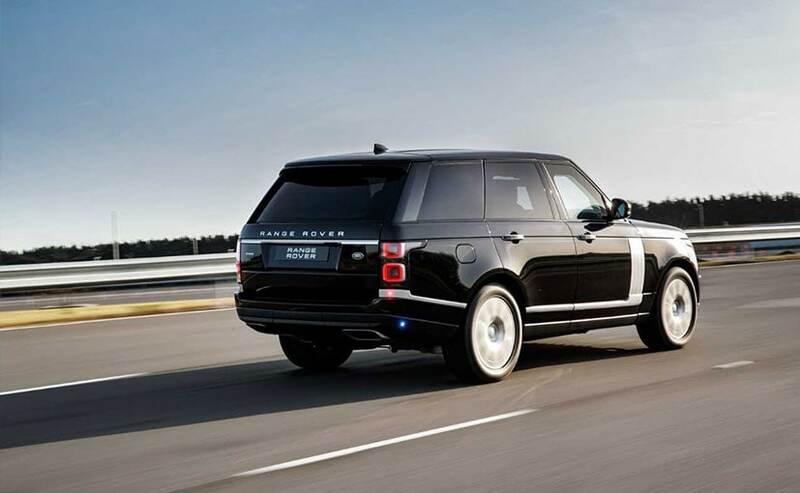 The Range Rover Sentinel is identical to the Autobiography in terms of refinement and appearance. The Range Rover Sentinel is identical to the Autobiography in appearance. The 2019 model is powered by a bigger 5.0-litre, supercharged V8 motor. The chassis has been improvised to better its off-road abilities. Land Rover has unveiled the updated 2019 Range Rover Sentinel today which essentially is the armoured version of the Range Rover. 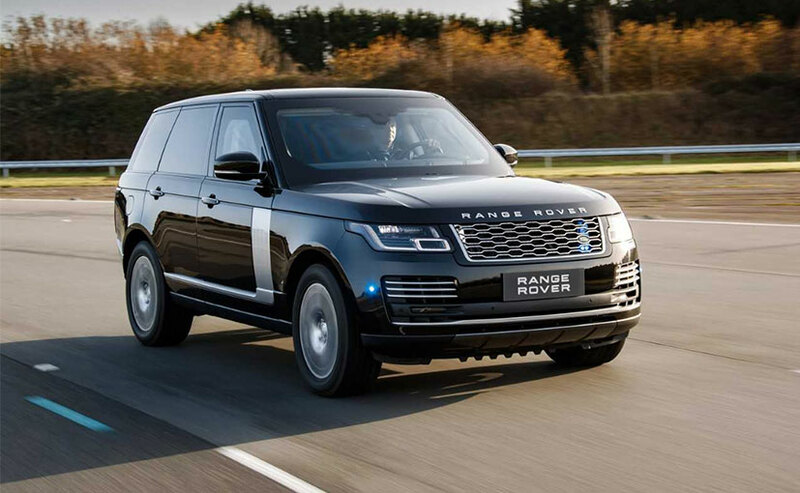 The armoured version has been designed by Land Rover's Special Vehicle Operations (SVO) division and it's expected to be identical to the Range Rover Autobiography in terms of design, refinement and appearance. The chassis, suspension and brakes of the 2019 Range Rover Sentinel have been upgraded to cope up with the increased weight and match the all-terrain prowess of a Standard Range Rover Autobiography. Building on that is the new 5.0-litre, supercharged V8 petrol motor which replaces the previous V6 motor and uplifts the power output by 39 bhp to a total of 375 bhp. The engine has enough grunts on tap to pull this mammoth SUV from 0 - 100 kmph in 10.4 seconds and in-turn to a limited top of 193 kmph and that despite carrying over a tonne of armour plate and glass on board. The Range Rover Sentinel has been built at Land Rover's SV technical centre in Warwickshire and is prepared to face modern and unconventional forms of attack, including improvised explosive devices (IED) blasts. The protection cell is built to stringent whole vehicle standards complying with full ballistic and blast certification. Revealing the details, Michael van der Sande, Managing Director, Land Rover Special Vehicle Operations, said: "The Range Rover Sentinel delivers the exceptional protection and security required by our VIP clients without compromising the superior refinement of the latest Range Rover. The addition of the more powerful 5.0 l Supercharged V8 engine and a redesigned interior ensures a heightened level of performance and occupant safety." The 2019 Range Rover Sentinel gets a bigger 5.0-litre, supercharged V8 engine which churns out 375 bhp. The dynamics of the Range Rover Sentinel have been optimised to match Range Rover Autobiography's on-road stability as well as off-road abilities which enable it to wade through deep-water and tackle challenging terrains. The wheels are shod in run-flat tyres and the vehicle can be driven over 50 km at speeds up to 80 kmph. Further security systems include the option for a specially configured front window which drops a maximum of 150 mm for document delivery. It also features a public address system allowing occupants to address people outside the vehicle. Siren and emergency lighting packs are also available. On the inside, the Range Rover Sentinel has a similar layout seen of the Autobiography and it also gets Land Rover's latest Touch Pro Duo Infotainment System sporting two 10-inch touchscreens. The updated 2019 Range Rover Sentinel will debut at the Home Office Security and Policing Show on March 5, 2019.